Just Like A Patient, But Doesn'T Wriggle. 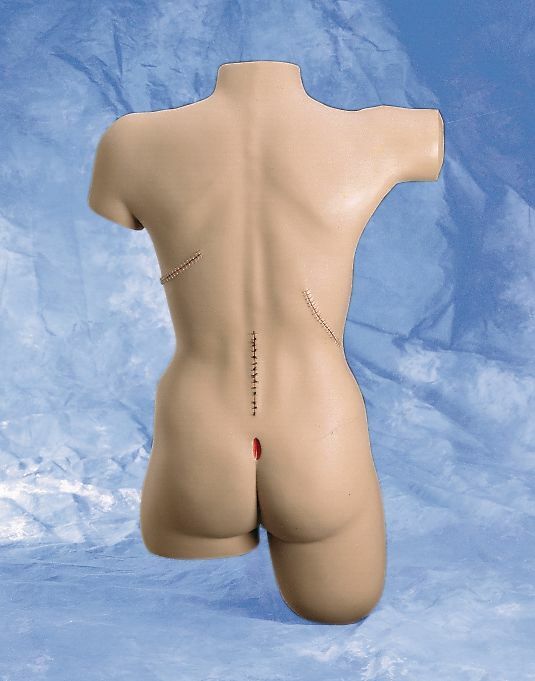 This simulator consists of a female torso with flexible, lifelike skin which realistically responds to adhesives and all types of bandaging procedures. 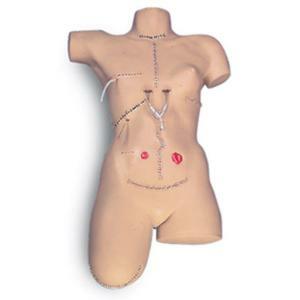 14 different wounds allow one to practice wound management techniques, cleaning and bandaging techniques just like on a real patient. Wound closures feature surgical staples and sutures which cannot be removed.